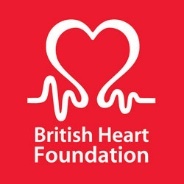 The British Heart Foundation praises dedicated efforts of community fundraising in south and east Wales and urges people to continue their support. New figures released today by the British Heart Foundation Cymru (BHF Cymru) show residents in south and east Wales raised an incredible £265,288 for the charity’s life saving research last year by fundraising in their community. People across south and east Wales have shown they’re all heart, undertaking countless fundraising activities – from the weird to the wonderful – in their unstoppable pursuit to raise urgently needed funds for the BHF’s life saving research, helping fund vital breakthroughs in the fight against heart and circulatory disease. More than £50,000 raised by fundraisers holding their own event for BHF Cymru’s Do Your Own Thing campaign. Tom Thomas and his son Steve from Bridgend, in particular, went above and beyond in their efforts to raise funds last year. Tom, who is aged in his 80’s and who had a heart by-pass operation more than 20 years ago, is a central figure of the Llynfi Valley Vintage Tractor Club and has a passion for vintage tractors. Tom and Steve organised a Tractor Run and raised more than £500 for the British Heart Foundation. 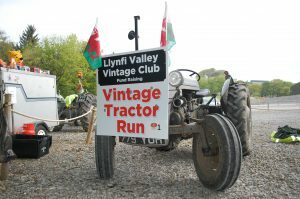 Over 25 vintage tractors took to the lanes of Bridgend, travelling 23 miles through Llangynwyd, Maesteg Town, Lletty Brongu, Llangeinor and Blackmill, finishing on the top of Mynydd Y Ger. Heart and circulatory disease kills one person every three minutes in the UK. Thanks to the generosity of communities across the UK the BHF is funding research that has been, and is today, central to discovering new ways to prevent, diagnose and treat heart and circulatory disease. By 2020 the BHF will have funded half a billion pounds of life saving research, to help accelerate the fight against these devastating conditions which claim the lives of nearly 160,000 people in the UK each year.